Wide-Eyed & Smiley is the look you see on the faces of children when they awaken to something new—something they were born to do. It's a look we spark everyday after school and during the summer, as we engage children in literacy, STEM, art, sports, and social and learning activities. We invite you to bring Wide-Eyed & Smiley to your home this holiday season with our holiday-inspired recipes and activities below. Every day students in our program conduct science experiments and engage in STEM activities. You can watch science in action as crystals grow on your pipe cleaner snowflake. To help our neighbors, children in our summer learning program made and distributed care packages. You can help by making care packages as well. During our summer learning program, children take weekly field trips to discover their world. Discover yours with a fun nature walk! 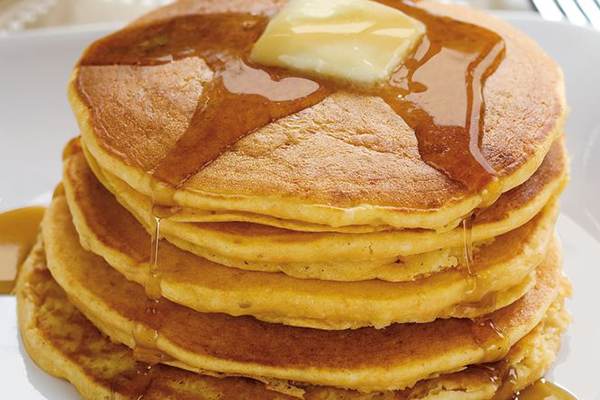 Gather the kids in the kitchen to make some scrumptious Sweet Potato Pancakes. Plus, have the kids read, Pancakes for Breakfast by Tomie dePaola. Recycling and sustainability is a very imporant part of our future as the world population grows. Let's take care of planet Earth by making our own recycling bin!